CARACAS, Venezuela — Travel websites like Expedia and Orbitz have quietly stopped selling airline tickets for Venezuela amid recent political turmoil, further isolating the socialist-run country after years of declining flight service. The Bellevue, Washington-based Expedia Group said the company was acting on behalf of travelers' wellbeing and in accordance with recent travel advice by foreign governments about crime and civil unrest. Orbitz didn't immediately respond to a request for comment. 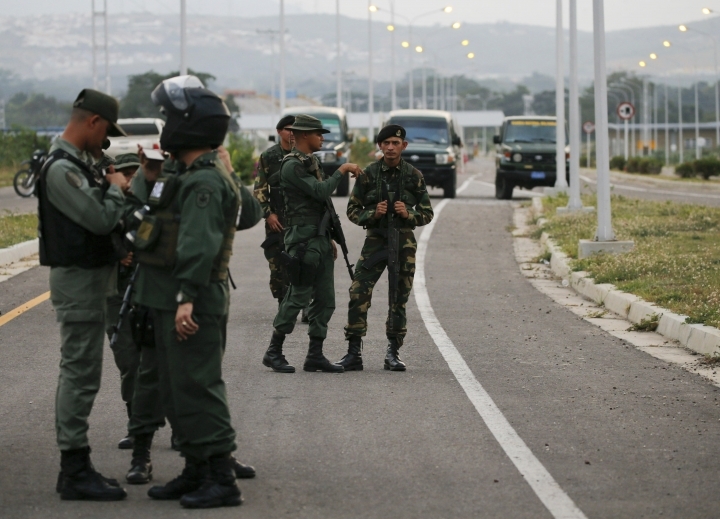 The move comes after the U.S. State Department on Jan. 29 said Americans shouldn't travel to Venezuela, warning of unrest and the threat of arbitrary arrest and detention in the wake of President Nicolas Maduro's decision to sever diplomatic relations with the U.S. The same advisory urged Americans to "consider departing while commercial flights are available." Many expect the travel headaches to worsen now that the U.S. has slapped sanctions on Venezuela's state-run oil company, making it harder to import jet fuel and other petroleum products. More than 40 people have died in Venezuela amid demonstrations that began last month when Juan Guaido, the head of the opposition-controlled congress, declared himself interim president and quickly drew recognition as Venezuela's rightful leader from the U.S. and dozens of other nations.